Why do we personalize forest fires? We name fires the way we name hurricanes, giving them the identity that comes with our naming. Naming our fears also makes them a little more manageable, which is probably the main reason we go to the doctor, seeking a word for what ails us. What’s happening may be terrible, but at least we know what to call it. The fire that burned up the road from me has been dubbed “the Chips Fire,” and the smoke from it has kept the town where I live shrouded in a dense and acrid haze for several weeks now. It comes and goes, lifting and dissipating like fog, only to return during the night, or settle back over us in the late afternoons. 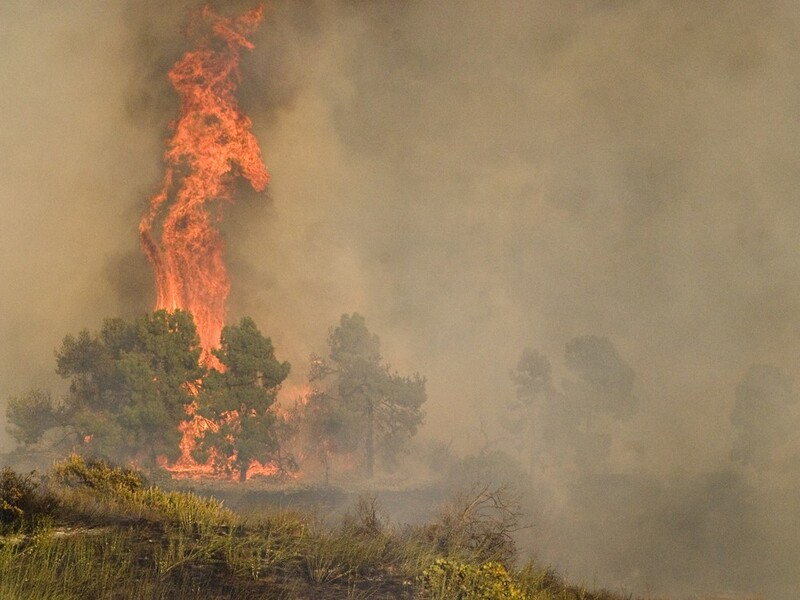 Finally contained on Aug. 31, it consumed 117 square miles, including many homes lost and hundreds of people evacuated. It’s but one of several such fires throughout the West. The Chips Fire was a bad one, hard to control because it burned up and down very steep ridges in the Feather River Canyon. That canyon provides one of the most scenic drives I know of in the entire Intermountain West, but the verticality that makes it so scenic also makes it nearly impossible to get fire crews into strategic places. Where I live is down-canyon from that fire, so the likelihood that the fire would have turned this way was remote. But that doesn’t lessen the apprehension created by all that smoke. Those of us who’ve lived in the high country for a long time know that where there’s smoke, there’s bound to be more than one fire sooner or later. Some of the smaller fires are given names, too, but unless lots and lots of acres get consumed before the fire is extinguished, those fires are not recorded in memory, don’t become part of the folklore of disaster told and retold by locals who love to regale newcomers with tales of how much harder life can be in the mountains than wherever it was they came from. We hate calamity when it’s happening, but as it recedes in memory, the human drama we survived adds a special quality to our lives. Blizzards take their place in our personal tales, and when heavy rains sweep away a section of the canyon, we remember that, too. In retelling those stories of local disaster, our lives are enlarged, dramatized, particularized. They call the wind Maria, as the song said, though nowadays they have computers that generate names for hurricanes as soon as they appear on the radar. And, up here in the mountains, we name our fires, parceling out titles for the tales we’ll tell when time has rendered those fires safely distant, when our memories have made them even worse than they were when we were sweating them out, our eyes red with smoke, our minds unsettled by uncertainties about what was yet to come. Jaime O’Neill is a contributor to High Country News (hcn.org), where this column first appeared. He writes in Magalia, Calif.